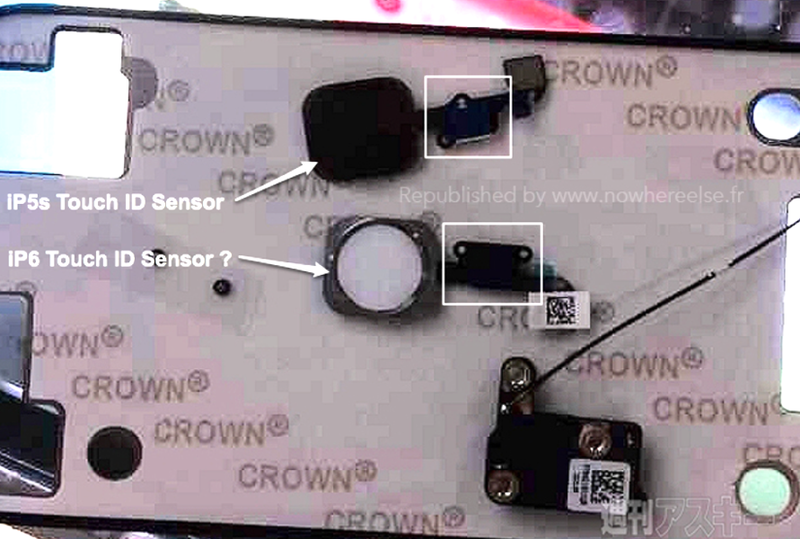 French site NWE has posted photos from Japan of what it claims is the Touch ID sensor for the iPhone 6. The photos don’t give anything away, with the only visible differences being in the location of screw holes – which is to be expected given the significant redesign of the new model iPhone. We recently learned that Apple’s application to trademark the name Touch ID was rejected by the USPTO, meaning that the company will either have to rename the feature or – far more likely – purchase the existing conflicting trademark. We’ve seen an increasing number of claimed iPhone 6 parts in recent weeks, among them a scratch test of a sapphire display; both photos and video of the back of the phone; the LCD bracket; and the chassis. Recent rumors include the 5.5-inch model being delayed until 2015, Apple placing initial orders for 68M phones, and that the 5.5-inch model will get image-stabilisation but the 4.7-inch model won’t.